Identify a few good stocks and follow them before investing. 1. What Indicates a Bad Stock? Some investors comb company financials looking for value, while others look through stock price charts seeking stocks that are set for a jump in price. There are even astrologers who specialize in doing astrological charts based on a company's incorporation date. There is no single method or secret formula to use to identify winners among small cap growth stocks, but it is possible to look for hopeful signs and take precautions against unwise investments. Your first step in seeking a good small-cap stock investment is to develop a skeptical nature. Use stock filters available at most online brokerage firms and some investing websites to select specific industries that you feel have promise. Narrow your selection to those that have been reporting good earnings and have a low debt ratio for the industry. Scrutinize your list of stocks, winnowing out the laggards until you have a list of no more than 10 stocks. From this point, study each stock's price chart as well as the most recent annual and quarterly reports, eliminating any stocks that show poor performance. 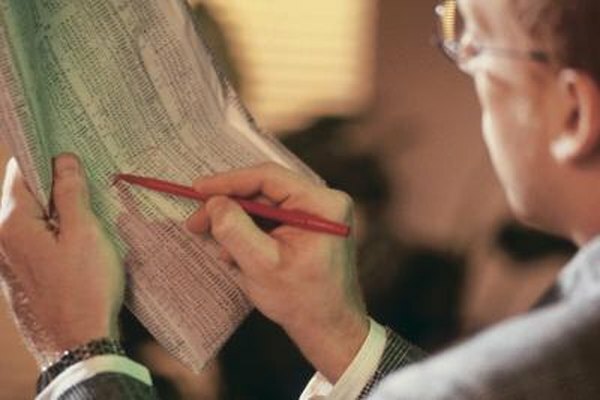 You might end up eliminating your entire list and having to go through the process with different industries or filter criteria, but it is better to pass on a stock than lose money if it proves to be a poor performer. Mutual fund analytics company, Lipper, posts annual awards for the best performing mutual funds. Among the stock traits considered most important by the winning portfolio managers is whether the company controls a niche. Look for companies that provide a unique product or service or are a leading factor in an emerging industry sector. Such companies present a barrier to competition that usually results in more stable earnings growth for the company that controls the niche. Another key to performance many portfolio managers cite is in finding special situations that are beneficial to a company, such as a hot new product introduction, the acquisition of a competitor, the spin-off of a poorly performing division or a beneficial change in management. Good news often makes the stock price pop up. Catching the stock before the price rise requires following several companies you suspect may be about to announce good news and buying only when you are reasonably sure your suspicions are well-founded. Although Wall Street firms are quick to remind you that past performance is no indicator of future success, a company with a history of earnings growth and low debt presents a lot of value that increases the likelihood it will be discovered by traders. If it doesn't become a hot stock, at least earnings growth will help support a gradual rise in the stock price. However, when a company shows up as inexpensive to the market because it is trading at a lower price-earnings ratio than other stocks in its sector, traders notice and start buying. Stable earnings growth is an indication that company management knows how to optimize operations and create profits.